In a media statement on Monday 4 June, Kingon, the new acting SA tax boss, announced the alteration in the tax season to run from 1 July to 31 October 2018. This has changed from the traditional season, which historically ran from July to November. 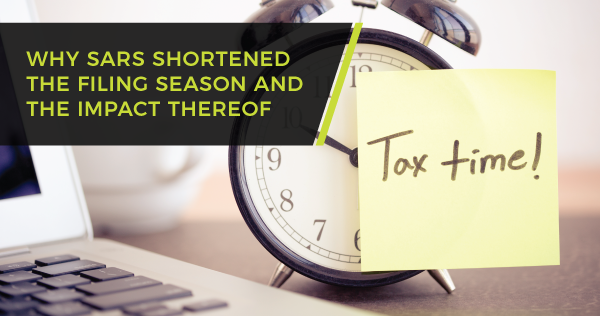 “A shorter filing season allows additional time for SARS, taxpayers and the tax fraternity to deal with return verifications before most taxpayers go on the December holiday break. Often there are delays with taxpayers having to respond to our queries and requests over the holiday break. 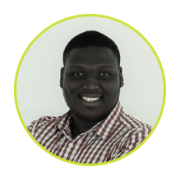 The quiet period after the first three months of tax season has now been removed resulting in efficient use of our resources,” Kingon put forward as rationale for the alteration. Therefore, to avoid possible administrative penalties, it remains imperative for taxpayers to file their returns within the tax filing deadline. If you need assistance with your tax return, Tax Return Service, a division of Tax Consulting SA, has a team of highly efficient tax specialists that are complemented by tax attorneys, chartered accountants and Master Tax Specialists, thus ensuring quick turnaround time and maximum tax saving.